Triple crown Blvd, to Whirlaway, R on Arcaro, R on Riley Rd. 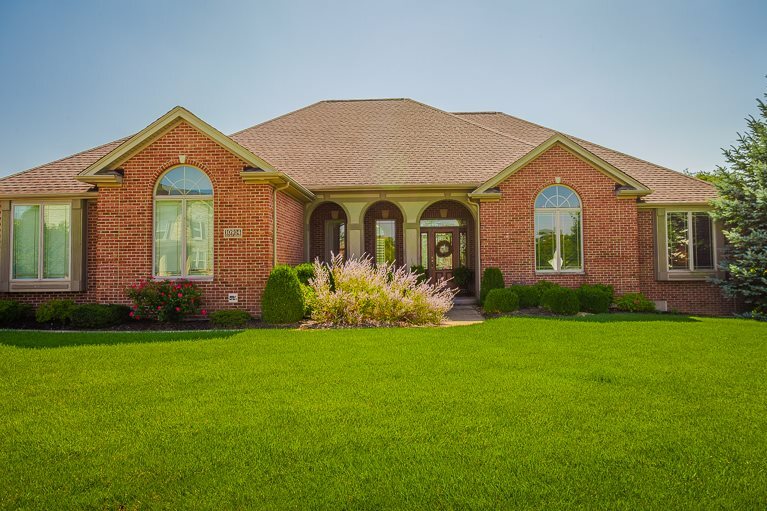 Sauley Custom built 5 BR full brick ranch situated on beautiful lot in Triple Crown. This home can't be built for this price. On trend design W/ so many features including: Double sided fireplace, tray ceilings, LL fireplace, New SS appliances, granite counter tops, planning desk, stamped patio, screened-in porch, large deck, 3 car garage- 2 wet bars, 3 full baths, private master balcony!